Unfortunately, we no longer carry this accessory. This page is available for informational use. Since this accessory is no longer available, find more bowling accessories on our accessories page. **SOLD IN PAIRS** Why use boring shoe covers for your bowling shoes when you can get these fun and fuzzy shoe covers from KR Strikeforce! Available in various colors, these shoe covers have all the features of normal shoe covers, but with added flare! 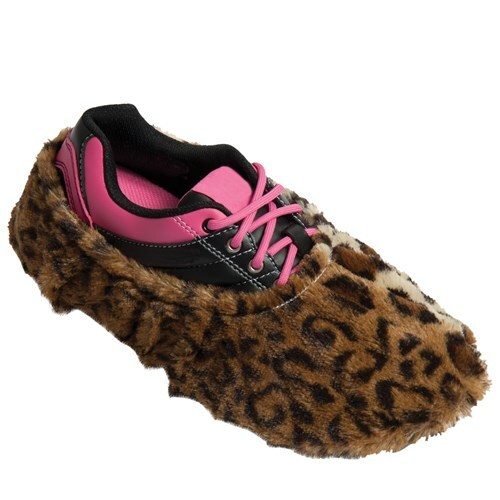 Due to the time it takes to produce the Robbys Fuzzy Shoe Cover Leopard ball it will ship in immediately. We cannot ship this ball outside the United States.